Cheesecake is one of the most controversial cakes there is. 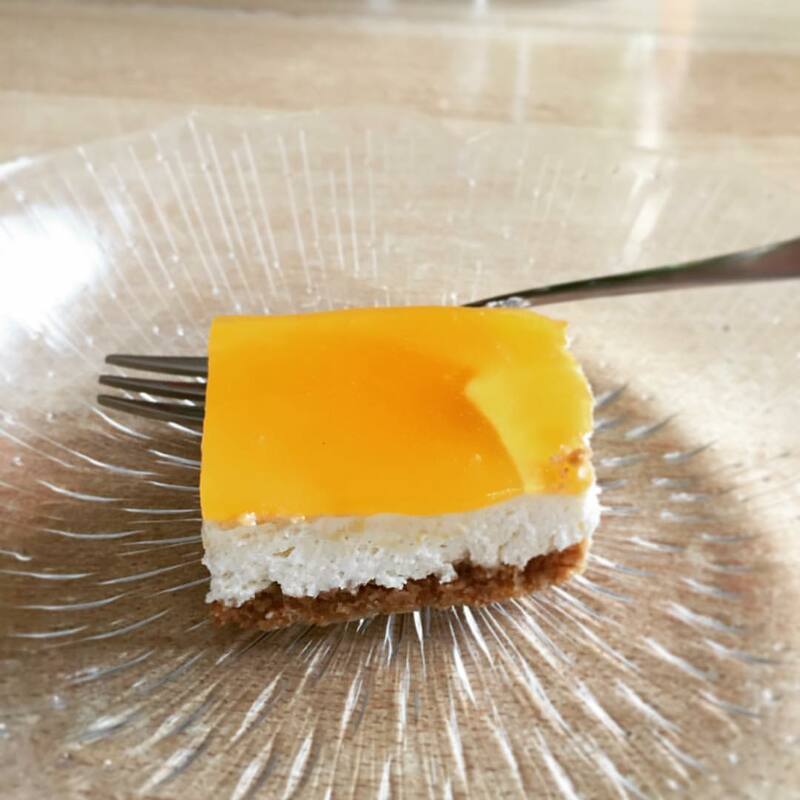 A lot of recipes are with gelatin or with „too much cheese“ but I can guarantee that everyone will like this gluten free, gelatin free, no bake apricot cheesecake. Crush the cookies and add the sugar and melted butter, stir and spread in a 8-10 inch form. Set it to chill in a fridge for at least 30minutes. Mix the cream cheese, vanilla extract and Schmand, pour in a bit of milk until it’s a smooth paste. Whip the cream and mix it with the rest using a spoon. Spread the creamy mixture over the cookies. Chill for at least 4 hours, though 12 would be best. Mix the marmalade with water and spread that over your cake.